Description: 2162-Now you are in end of this level. 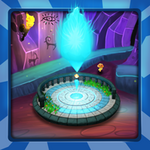 Here you have to face the evil god and escape from devils to save your parents. You have escaped from so many hurdles to reach this place. Its already too late do something to save your parents.